Every Thursday the Laboratories give schools and all science enthusiasts the chance to dive into the particle physics world. 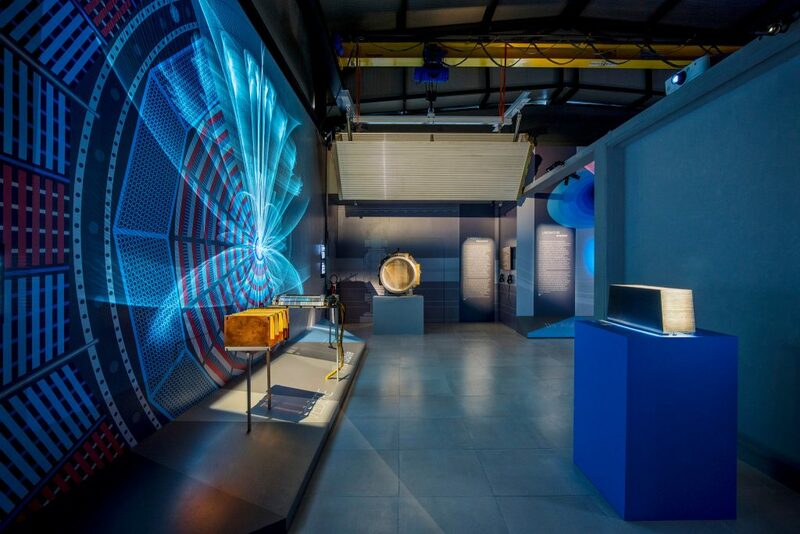 Designed as a multifunctional public engagement hub, the Visitor Centre hosts a permanent exhibition aimed at spreading knowledge about particle physics, accelerators, and the experiments carried out at the Frascati National Laboratories, as well as in its international collaborations. Through interactive installations and real hardware elements representative of the history of research, the visitor will undertake a voyage to discover the infinitely small. Guided tours, lasting one hour, are free and upon booking.